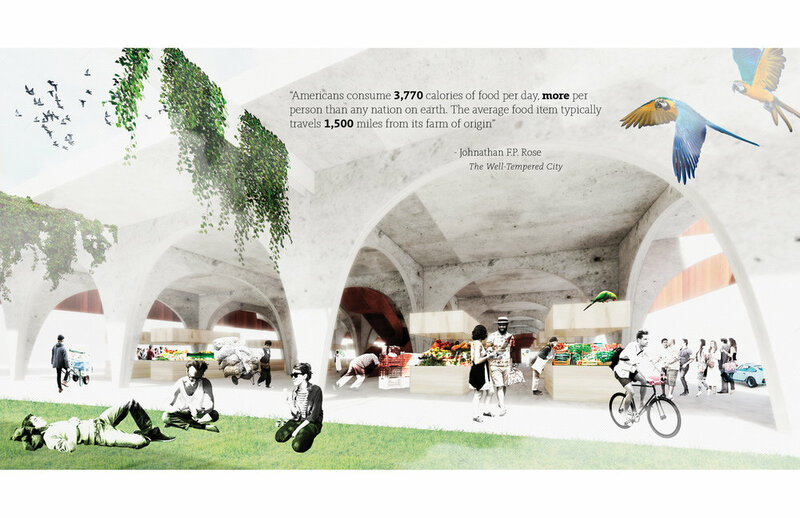 Today, 15 to 20 percent of the world’s food is produced via urban agriculture, an umbrella term that encompasses city farms, community gardens and other creative forms of growing food in densely populated areas. To meet the growing demand for food, the UN’s Food and Agriculture Organization estimates that there needs to be a 50 percent increase in global agriculture production—a distinct challenge, the UN warns, in the face of climate change and the growing need for water conservation. Land trusts, mechanisms that can operate at different scales but which have often been designed to help keep real estate values manageable, offer the opportunity to integrate urban farming and communities. An entity like the city would own the land, and the people who reside there could own the structure on top of the land. The appraised land value would not increase, making the cost of living or working there more affordable. Through diligent planning, land trusts could create space for both affordable housing and small farms that would offer local access to jobs and fresh food. 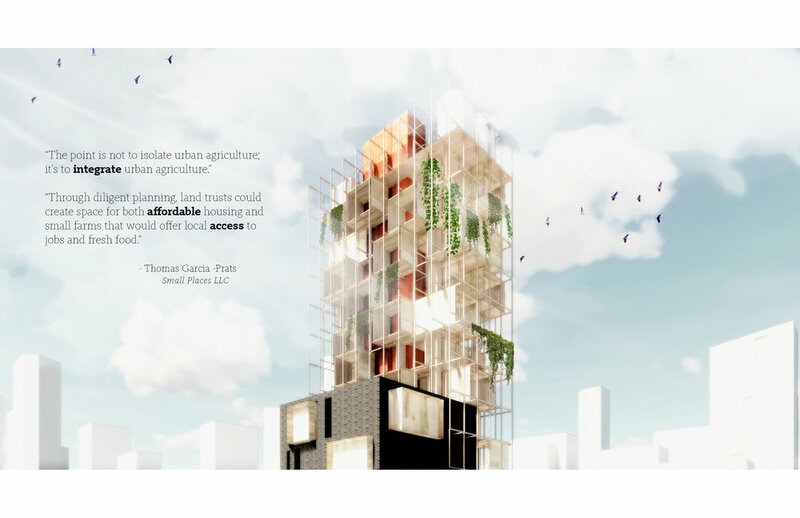 Affordable Housing - Integrated within the culture of urban agriculture will be low-income residential units. Housing and agriculture will be combined into a cohesive whole, so that food production does not continue to be pushed to the periphery. The inner core of the city will continue to densify, ensuring that as this natural progression takes place, the issues of gentrification and food deserts are addressed head on. Hydroponic Farms - This next tier of space is dedicated to more large-scale, commercial methods of producing fresh food for local distribution. Produce is grown indoors, without the need for soil, as water delivers nutrients to the plants instead. 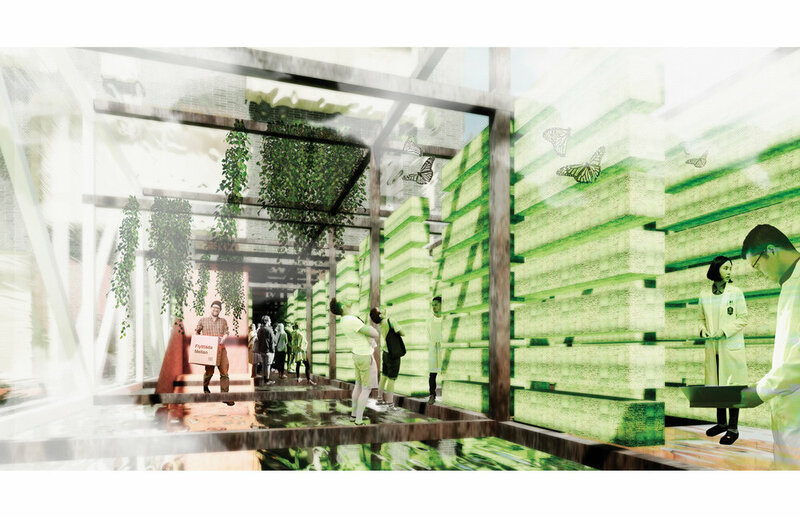 Community Gardens - Space will be allocated above the public market for individuals or groups to attend to their own gardens, as well as community kitchens. This will serve as an educational opportunity for new urban farmers, as well as a community building opportunity to bring people together. Farmer’s Market - The site will tie into the newly created park with an amenity to serve as a gathering place for the community. Vendors will be able to rent space and set up shop to sell their fresh produce to local consumers.